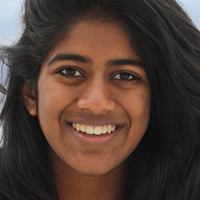 Sanjana Dantuluri – Lekha Ink, Corp.
Sanjana Dantuluri is an artist, writer, and musician from the San Francisco Bay Area, and has been a student at Lekha since 2014. She has had her artwork published in Celebrating Art, a nation wide art anthology. Sanjana’s passion for writing grows as she continues to explore the infinite possibilities that come about when one combines art with story telling.